The model RS8-42 is built with high quality components, which enhance performance on all levels. The RS8-42 Telescopic Handler features spacious, modern operator stations to maximize comfort and productivity. 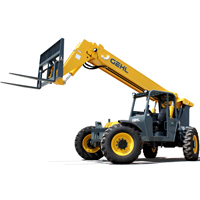 The Remote Boom Control option allows operators to control boom and engine functions from outside the cab. It provides the power to get work done effectively and efficiently, and makes no exceptions when it comes to hydraulic performance. These machines can take virtually anything. It has plenty of access points and over-sized covers make service and maintenance on the RS8-42 a snap. Multi-Function Engine Diagnostic Display. 3-Speed Powershift Transmission. 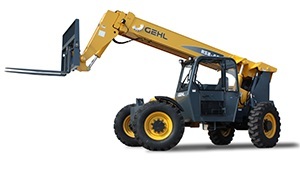 Capacity at Maximum Lift Height:7,000 lbs. Capacity at Maximum Forward Reach:1,000 lbs.